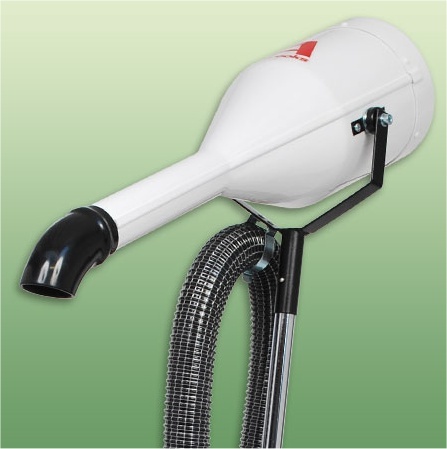 This versatile machine can be used as either a finishing or blaster dryer, using the flexible hose attachment. Powered by industry proven low energy motor for unparalleled performance and reliability. The twin fan carbon brush motor requires routine servicing. Variable air speed and temperature for maximum flexibility in drying - an ideal first dryer. Detachable high-velocity drying hose (1m). Mobile stand with spring assisted adjustable height.